Seeing a whale, one of nature’s most magnificent animals, is a bucket list dream for many people. Cape Verde is a great place to make this dream come true. 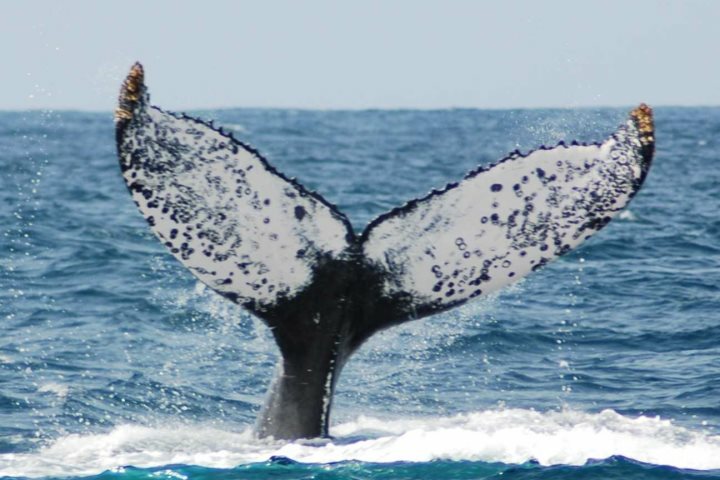 The waters around the islands, in particular Boa Vista, are a breeding ground for the mighty humpback whales. 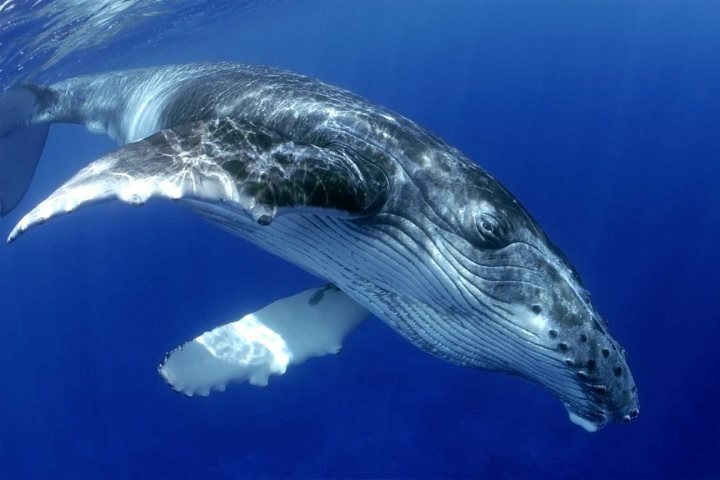 These whales have a huge geographic range and are found in oceans all around the world. Weighing as much as 40 tonnes and reaching up to 18 metres in length, these giants of the sea have one of the longest migratory journeys of any mammals on Earth, travelling around 5,000 km on average. It is this that makes it possible to observe these animals in numerous locations around the world, including Cape Verde. In summer, humpback whales spend their time feeding on krill, plankton and small fish in the cool waters of the polar regions, before heading to warmer tropical waters, each winter, to breed and calve. Did you know? Humpbacks are the noisiest whales, with the sounds they make being the most varied in the animal kingdom, from high-pitched squeals to low-pitched rumbles. But it is only the males that sing – probably to attract females and to let other males know that they are in the area. The best island to stay on for whale-watching is Boa Vista, with March and April being peak season, although sightings are possible from late February to May. We offer a four-hour excursion on a catamaran. Appropriate footwear is important, as is bringing something warm, as it can be quite chilly when travelling across the water. The power of the sun can be misleading when there is a cooling sea breeze, so do use plenty of sun protection. For more on holidays to Boa Vista please visit our website, CapeVerde.co.uk. Whale-watching is a wonderful way to connect with nature and is suitable for all but the youngest members of your family. While some populations of humpback whales are still on the endangered list, most have now been removed from this list thanks to successful conservation efforts that have seen a rise in numbers. Whale-watching excursions are a wonderful way to raise awareness with the public about the ongoing challenges faced by whales. Of course, nature is unpredictable and no excursion can guarantee a sighting and it is worth keeping this in mind if you are considering booking a whale-watching excursion. However, humpback whales are a popular choice to observe as they are most likely to perform behaviour such as breaching (leaping high out of the water) or slapping the surface of the water with their tails or fins. Scientists have yet to figure out exactly why whales breach. It may be a means of cleaning off pests from their skin or it may simply be for fun. Either way, ‘breaching’ is the behaviour that everyone hopes to observe when they go whale-watching, offering a once-in-a-lifetime view of these magnificent creatures, should you be lucky enough to witness it.